This module is a Paypal module that works with all countries in the world. This module is based off of the Paypal Europe module with a few changes to make it work world wide. If you are in a country like the UK and you installed Paypal 3.10.2 and you can no longer take paypal payments, this module will fix that. It also has an English translation with the module too. The English translation was translated from the module’s French translation with Google Translate, so it is not the best, but workable. Before the PayPal Europe module would use your country to see which methods you could use. Our module has removed that limitation. Every country in the world can use every method in the module. We are embarrassed that we have had to make this module. 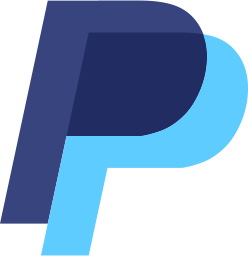 This module has all of the features of the PrestaShop PayPal Europe Module, we have added the functionality of UK and other European countries to be able to use this module. At the same time we have removed restrictions form using certain methods from some countries. This module should be compatible with version 1.5 – 1.6. We did not develop this module, so we can annot guarantee that. We only edited it to make it work. Important Note: Copy your API settings out of your old Paypal module first, then uninstall and delete it from your site. Then install our Paypal World module. It causes an error installing over the PrestaShop module version sometimes that does not enable it for your country. We cannot provide support for this module without a support contract. We did not write it, we just fixed what was broken.